About a couple of years ago I ventured into the Wynwood section of Miami to try out a pizza that some described as legendary for Miami. After driving around trying to find Joey's Pizza, I felt extremely unsafe and kept on driving. Wynwood at that time was definitely not a place you wanted to wander around at night. Fast forward several years and WOW! Wynwood is like the new trendy, happening place. We went down to a tech event at a place called The Lab and afterwards went for a walk in this artsy district. Although I am super impressed with the turnaround, I cannot say I would feel totally safe walking alone in the middle of the night there yet. Since we wandered by Joey's Pizza when heading to the Wood Tavern, it was mandatory for me to stop and check out the pizza finally. When I approached the door at Joey's Pizza it appeared they were closing. Seems just my luck with this place. The pizza g-ds probably didn't want me eating this pizza for some odd reason, so we kept walking. That is when a pizza angel came to the door dressed up as a server and asked me if I needed anything. After mentioning I wanted a pizza to go, he told me the oven was still on and would be happy to make me one. Luck was back on my side. Joey's was a casual marble covered Italian restaurant and Pizzeria, and was actually from what I understand, the first restaurant in this now chic art district known as Wynwood, Miami. We waited for about 10 minutes and they brought me my pie outside. This is why you see me taking photos from the box, since I was walking and eating it at the same time. The individual pie I was carrying could have been about 12 inches but it was tough to tell. I grabbed a slice and took a bit. Instantly I fell in love with it. The pizza at Joey's is thin, yet crisp and possessed a tasty crust. The cheese was of the highest caliber and tasted just fantastic above the sweet, smooth and lightly applied sauce. There is a reason that Joey's Italian Cafe has been in business so long in an area that was crime ridden and relatively unsafe up until several years ago. The former shoe factory area now not only has beautiful artwork, but it also has found art in the form of pizza. 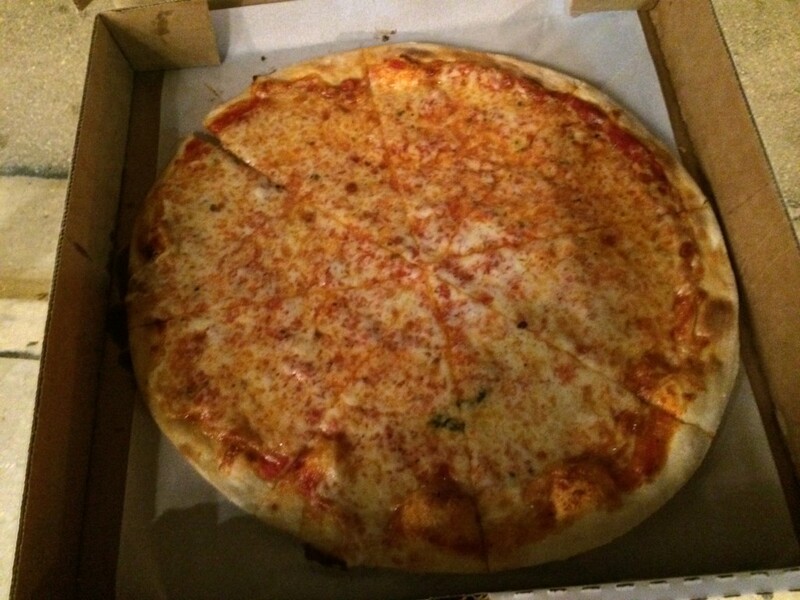 Joey's Pizza is a must try for those who enjoy a thin crusted individual pie. It is the perfect way to spend an evening after walking through art galleries. 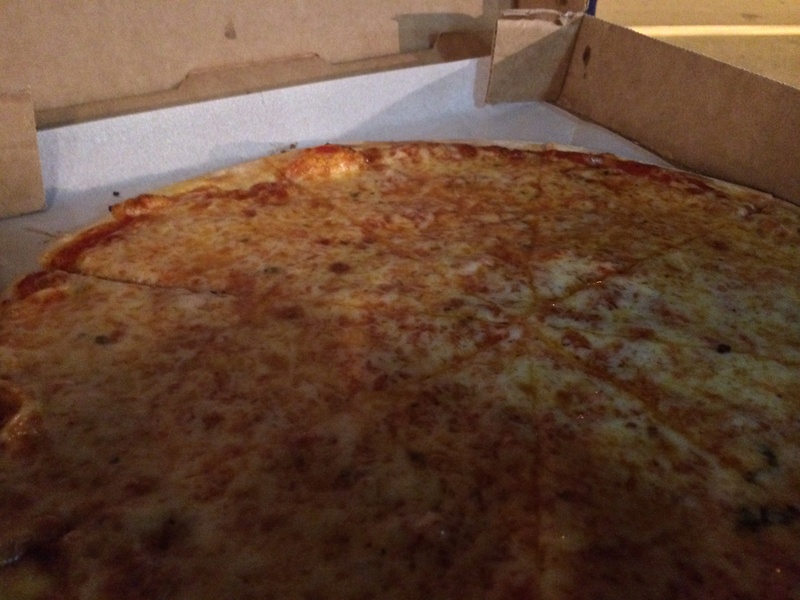 Joey's Pizza in Wynwood Miami gets 7 out of 8 slices.